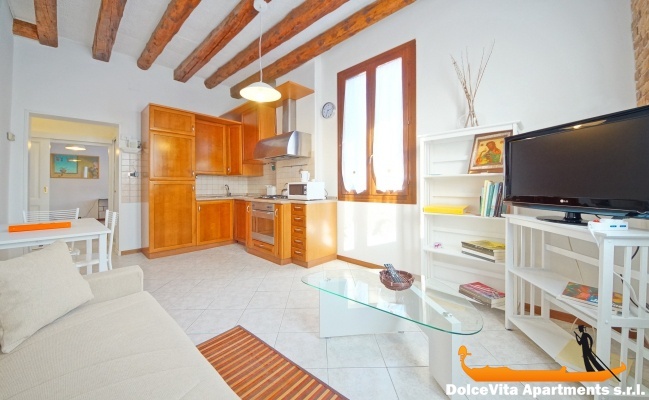 Apartment N. 370: It can accommodate up to 2 people, it is rented from 100 € per Night (not per person). 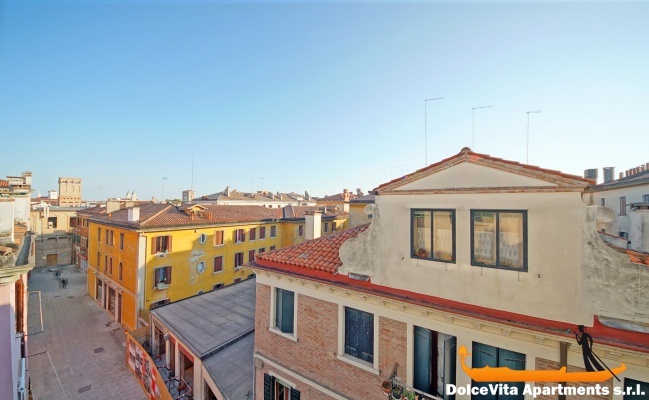 Holiday Venice Apartment Dorsoduro for 3: Bright and homey apartment in the centre of Venice, in the Sestriere of Dorsoduro (namely, district of Dorsoduro). It is located on the third floor and it can accommodate a maximum of 3 people. This vacation home consists of a living area with a kitchenette and a sofa bed, an eccentric double bedroom and a bathroom with shower box. 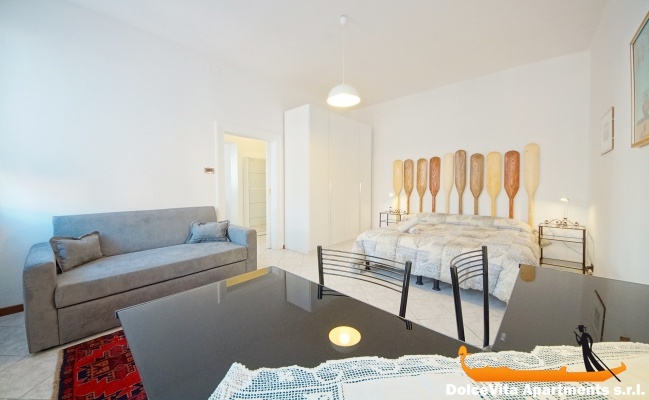 The apartment was completely restored in 2016 and comes with a wide range of amenities, such as Wi-Fi connection and air conditioning. Also, in the living area there is a TV. 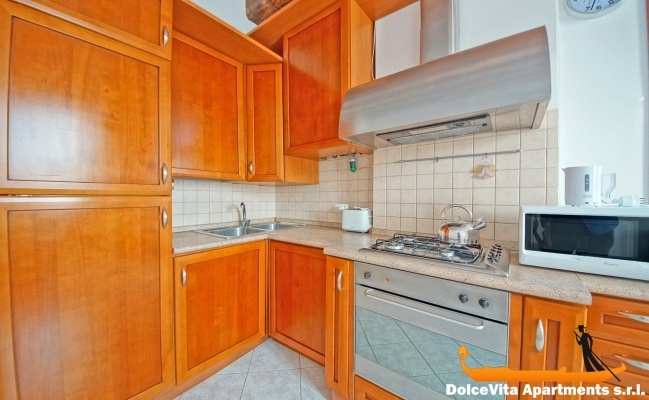 The kitchen is well equipped and includes refrigerator, freezer, oven, microwave, toaster and kettle. 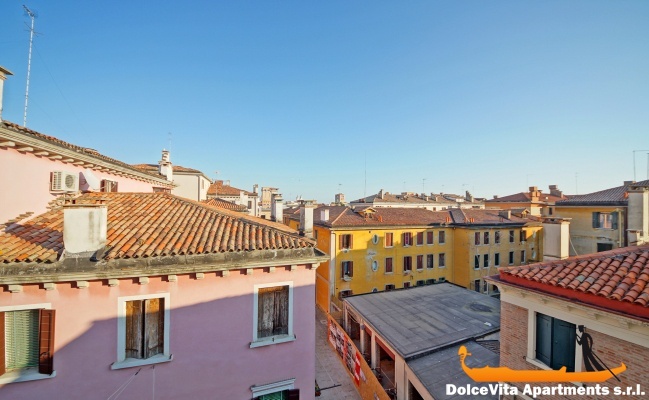 In addition, you can enjoy a beautiful view of the rooftops of Venice from the window. Guests are provided with clean blankets, bed sheets and towels. 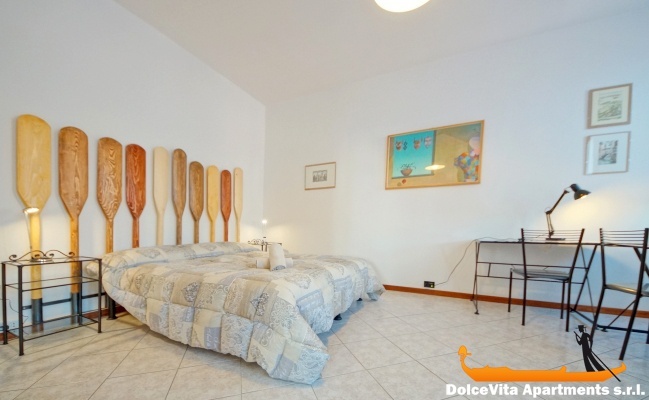 The house is situated less than 10 minutes’ walk from the marvellous Zattere waterfront promenade, right in a well-served area. 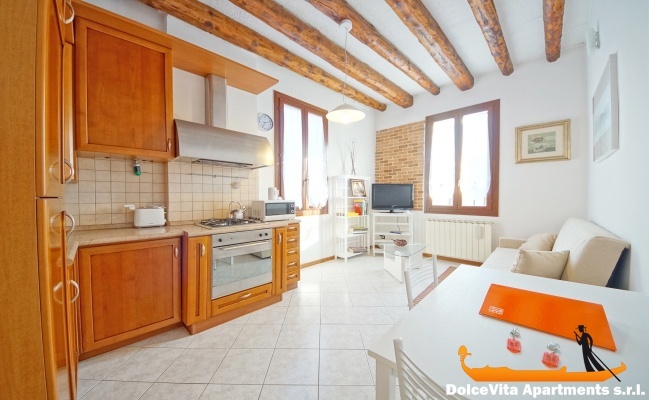 As a matter of fact, you can find 2 supermarkets, a newsagent and a bar nearby the apartment. You can easily reach Piazzale Roma in just 10 minutes’ walk, while the closest Vaporetto stop (namely, ferryboat stop) is less than 5 minutes’ walk.